Kick off your visit on the 21st (Sat): step off the mainland to explore Isla Perro. To find where to stay, traveler tips, maps, and other tourist information, read San Blas Islands trip itinerary planning tool . Toronto, Canada to San Blas Islands is an approximately 11.5-hour flight. 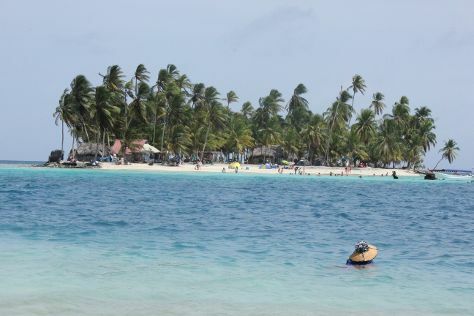 Traveling from Toronto in December, expect San Blas Islands to be warmer, temps between 37°C and 27°C. Wrap up your sightseeing by early afternoon on the 21st (Sat) to allow time for travel to Bocas Town. You'll discover tucked-away gems like Spas & Wellness and Plastic Bottle Village. Escape the urban bustle at Scuba & Snorkeling and Bastimentos National Park. When in Bocas Town, make a side trip to see Playa Bluff in Bluff Beach, approximately 30 minutes away. The adventure continues: admire the natural beauty at Finca Los Monos Botanical Garden and make a trip to Random Art. For ratings, more things to do, where to stay, and other tourist information, you can read our Bocas Town day trip planning website . Traveling by combination of bus and flight from San Blas Islands to Bocas Town takes 4 hours. Alternatively, you can fly; or do a combination of ferry and bus. When traveling from San Blas Islands in December, plan for little chillier days in Bocas Town, with highs around 30°C, while nights are about the same with lows around 30°C. Finish up your sightseeing early on the 24th (Tue) so you can travel to Boquete. You'll explore the less-touristy side of things at Volcan Baru National Park and Sendero Los Quetzales (The Quetzales Trail). Get outdoors at The Lost Waterfalls-Boquete and Los Ladrillos. There's still lots to do: take a pleasant ride with a tour on horseback, shop like a local with Barbara Rabkin Art Studio, get lost in a book at Biblioteca de Boquete, and tour the pleasant surroundings at Pipeline Trail. To see where to stay, maps, reviews, and other tourist information, go to the Boquete trip planner. Traveling by combination of ferry and taxi from Bocas Town to Boquete takes 3.5 hours. Alternatively, you can do a combination of ferry and bus. Finish your sightseeing early on the 27th (Fri) to allow enough time to take a bus to Isla de Coiba. 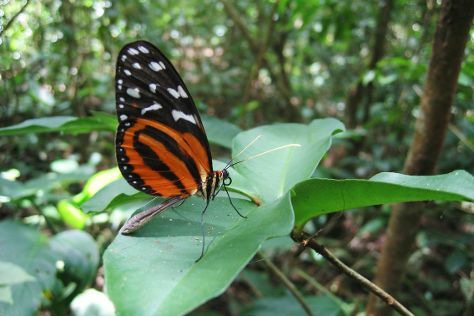 On the 28th (Sat), explore the striking landscape of Parque Nacional de Isla Coiba. To find photos, maps, ratings, and other tourist information, you can read our Isla de Coiba tour itinerary planner. Traveling by bus from Boquete to Isla de Coiba takes 5 hours. Finish up your sightseeing early on the 28th (Sat) so you can travel to El Valle de Anton. Kick off your visit on the 29th (Sun): take your sightseeing to a higher altitude at The Sleeping Indian Girl, deepen your understanding at Butterfly Haven, and then stroll through El Nispero Zoo and Botanical Garden. 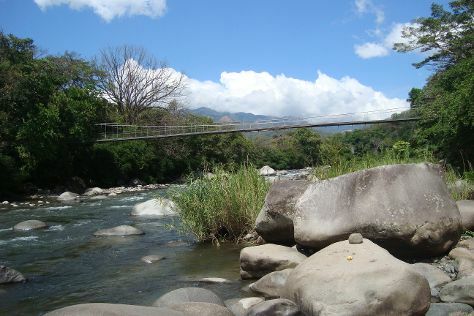 For where to stay, photos, maps, and tourist information, read El Valle de Anton online trip itinerary planner . Getting from Isla de Coiba to El Valle de Anton by combination of bus and taxi takes about 6.5 hours. Other options: do a combination of flight and bus; or take a bus. Finish your sightseeing early on the 29th (Sun) to allow enough time to drive to Panama City. Museo del Canal Interoceanico de Panama and Biomuseo will appeal to museum buffs. Step off the beaten path and head to Iglesia del Carmen and Panama Rainforest Discovery Center. There's much more to do: get to know the fascinating history of Casco Viejo, make a trip to Panama Canal, wander the streets of Cinta Costera, and take in the architecture and atmosphere at El Arco Chato. Plan trip to Panama City with our itinerary maker to find out where to go and what to do. Traveling by car from El Valle de Anton to Panama City takes 2 hours. Alternatively, you can take a bus. In December, plan for daily highs up to 36°C, and evening lows to 28°C. Wrap up your sightseeing by early afternoon on the 3rd (Fri) to allow time for travel back home.